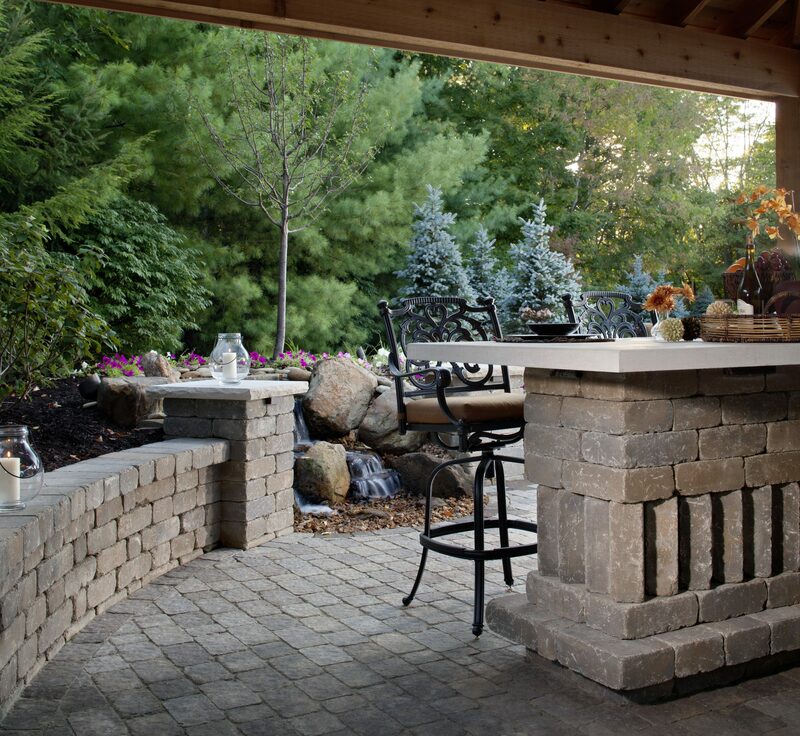 Home > Knowledge Center > What To Do With Your AC Unit When Installing A New Paver Patio or Walkway? This is a common scenario we run into on projects that have the air conditioning unit sitting on native soil or on top of your concrete patio or walkway. It could occur on new home construction or homes that have had concrete poured too close to the stucco weep screed. Paving stones are graded and pitch water away from your home differently than concrete. In many cases the unit will end up being lower than the final grade of your new paving stone project. If we were to install your pavers around the air conditioning unit and end up being higher than the unit we would create a pooling area for water which may lead to corrosion. The answer to this common situation is to have your air conditioning unit removed by a licensed heating and air professional prior to us beginning your paver project or at the beginning of the demo and prep process. Because of the fixed copper tubing that leads to the unit, it is very rare that the unit could be lifted to accommodate for the change in elevation. 1. Use existing air conditioning unit. Pull all refrigerant out of system. Refrigerant is pulled and stored in air conditioner. 2. Disconnect refrigeration lines from condensing unit. 3. Disconnect line voltage & low voltage power from outdoor condensing unit. 4. Store unit on sight. 5. Reconnect refrigeration lines (braising method used). 6. Pull deep vacuum on refrigeration lines & indoor evaporator coil. Pull unit down to 10 microns. 7. Release refrigerant from air conditioning unit back into system. 8. Reconnect the existing line voltage & low voltage power. 9. Run system to ensure proper operation. Prices vary for this service and there are several variables that may cause your estimate to vary. The age of your unit and the number of units are the two main reasons price estimates may fluctuate. We have found that the price may range from $250.00 – $700.00. INSTALL-IT-DIRECT is happy to provide you with contractor referrals. The information for this article was provided by Tropical Heat and Air and we can work with and coordinate with whomever you choose for the work.